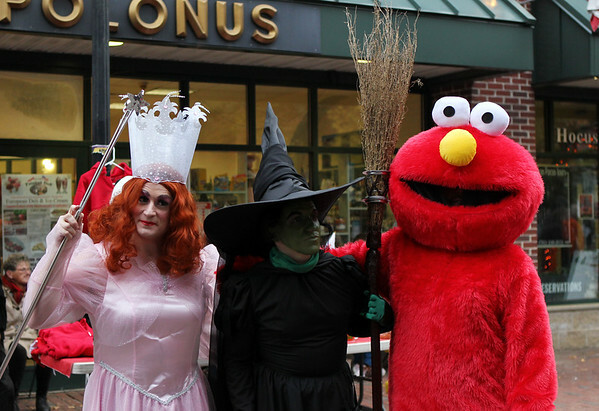 A few Halloween-goers pose for a photo on Friday afternoon. DAVID LE/Staff photo. 10/31/14.